Modi is interested in coming to Vizag. However, the campaign is not going well with CM Chandrababu. Modi was excited to participate in the CII Summit. 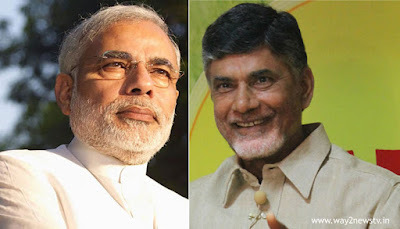 The BJP-TDP war between the war aggressive. Gujarat and Maharashtra, the Prime Minister who goes without thinking about it before the Modi is aware of. AP is the same as the demon. Special status has been set aside. The package does not care. Partition funds are not given properly. He did not want to talk to CM Chandrababu. The Prime Minister is the first to see all states equal. But Prime Minister Narendra Modi's north and northeastern states do not show towards the southern states. Modi is going to the investors' summit in various states. But the AP did not see it. The meeting was held in Telangana. But AP did not appear to him three times Investor Summit. The Prime Minister did not attend a single event in our state. If the person in the Prime Minister's position is at the Investor Summit, it will be brought to the state. The debate about why to work is not in the party but in the BJP. On February 3, the Prime Minister participated in the Investor Summit held in Assam. Modi attended the Maharashtra Investor Summit in Mumbai on February 18. On February 21, the Prime Minister participated in the Investor Summit held in Uttar Pradesh. Telangana summit. During this time, the Prime Minister was invited to the Investor Summit in Vizag. But the BJP is not the right thing to do. Something like Somamu Veerraju tappipi teppipunnu..not trying to do that. Modi is the responsibility of funding the new capital. The tailor-made of sandwiched water, Modi, and then the AP does not raise the wave. What did the Prime Minister do? Telangana CM KCR himself told me.